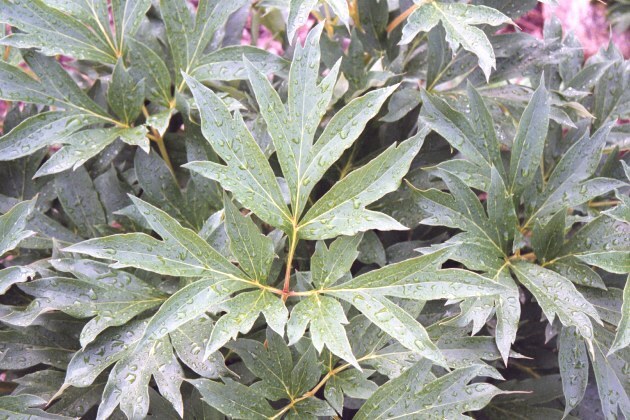 One of the important reasons that Intersectional Hybrids make such wonderful landscape plants is their beautiful and extremely healthy tree peony-like foliage. Yet many have never seen the foliage up close. 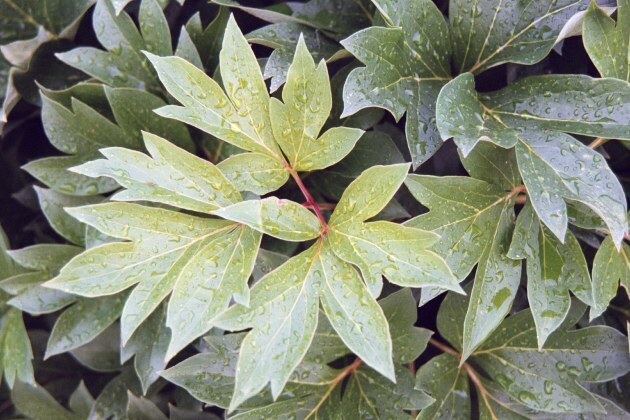 Below are several examples of typical intersectional hybrid foliage. The foliage remains healthy and beautiful until late autumn. 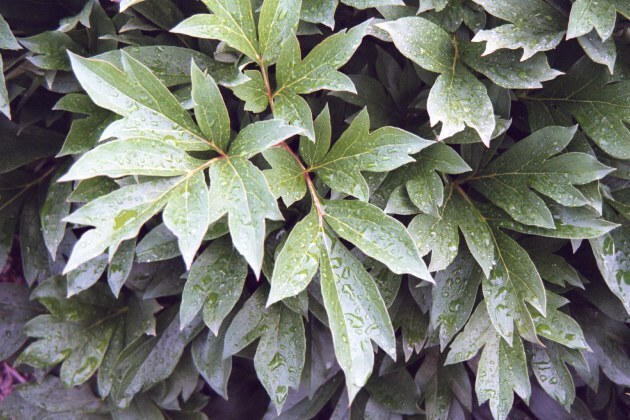 Once it is killed off by hard frost, it should be cut back to within an inch or two of the ground. Be careful not to cut-off any above ground buds, as most intersectionals produce numerous buds at or slightly above ground level.